In a time when competition for grant money is fierce, the NAILBA Charitable Foundation is dedicated to providing funding to community-based charities and non-profit organizations nationwide. The NAILBA Charitable Foundation is the philanthropic arm of the Association. Since 2002, NAILBA Charitable Foundation grants have helped to give blind children the gift of 'sight', create whimsical rooms for desperately sick children, provide hope to homeless mothers and children, and ultimately achieve its mission of making dreams come true for those less fortunate. The mission of the NAILBA Charitable Foundation is to encourage volunteerism among NAILBA members and provide grant funds to worthy charitable organizations that serve to enhance the quality of life for those less fortunate, with a special emphasis on children. Grant Applications are mailed to NAILBA members and our valued corporate partners in the spring and the deadline to submit a completed grant application is July 2019. Download the 2019 Grant Application today! 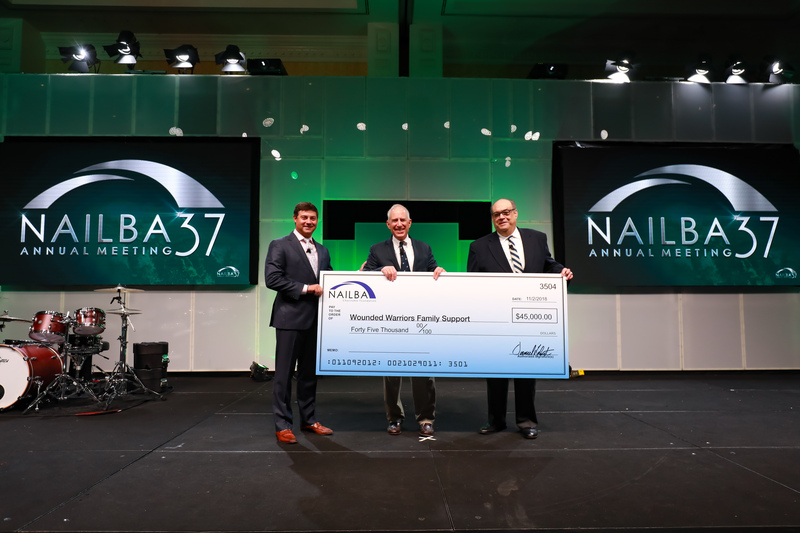 Since 2002, the NAILBA Foundation has raised and contributed over $3 million dollars to more than 200 deserving charities and community organizations nationwide.